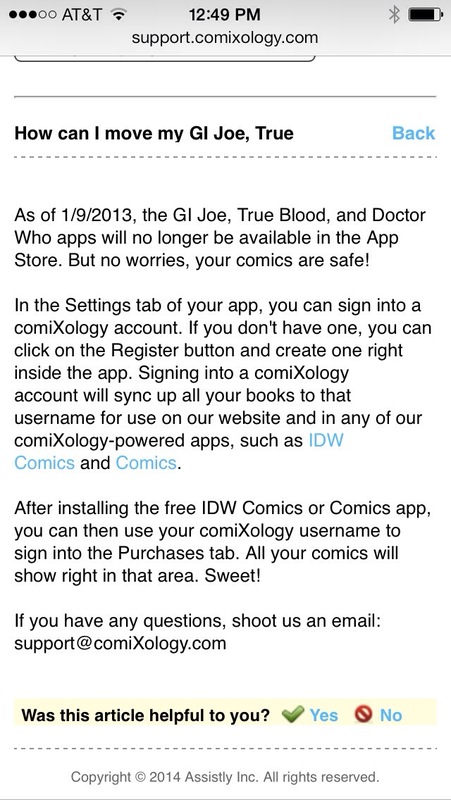 G.I.Joe, Doctor Who, and True Blood Comic Apps removed from the IOS Store. Credit to Diana of the G.I.Joe Discussion Group on Facebook. Hama’s G.I.Joe a Real American Hero seems to be well loved by fans, infact it seems to have gained steam after early concerns over the return of the brain wave scanner, and accidental inclusion of the dead character Sneak Peek. My not so educated Guess? 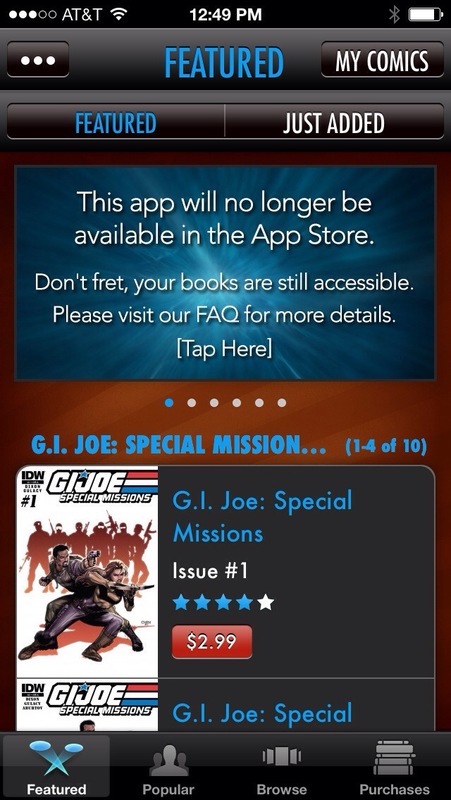 G.I.Joe isn’t going anywhere, neither is Doctor Who, but the focus on them will be smaller, possibly going down to only 2 or less books a moth, and with less being produced IDW simply may not feel they need to have a dedicated app for them. Image straight from my iphone and the app below, for more details. This entry was posted in Comics, G.I.Joe, Movies and TV and tagged Doctor Who, G.I.Joe, idw, true blood by servant sears. Bookmark the permalink.